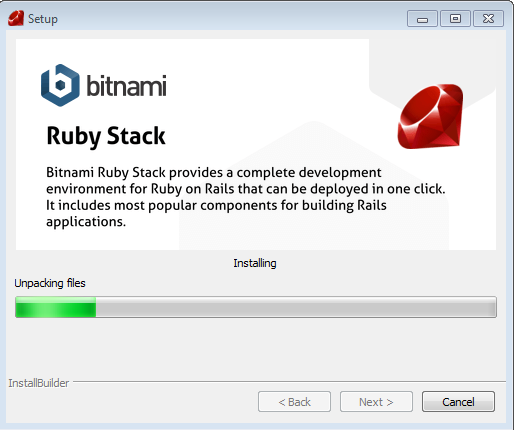 Go to Bitnami Ruby Stack Website and download Ruby Stack 2.0.0-23. Then, install Ruby Stack 2.0.0-23 on your computer. For this tutorial, we will use the Micro CRM app. 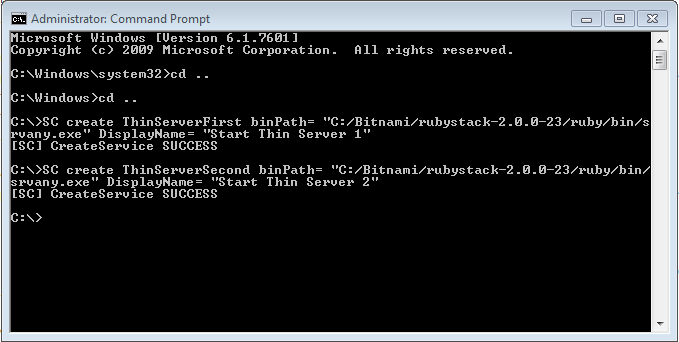 We download the app from Github and unzip it in C:\Bitnami\rubystack-2.0.0-23\projects. 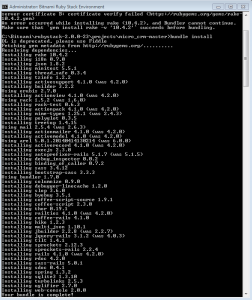 Then, we run the bundle install command. rake db:seed RAILS_ENV="production" "Created 4 customers." 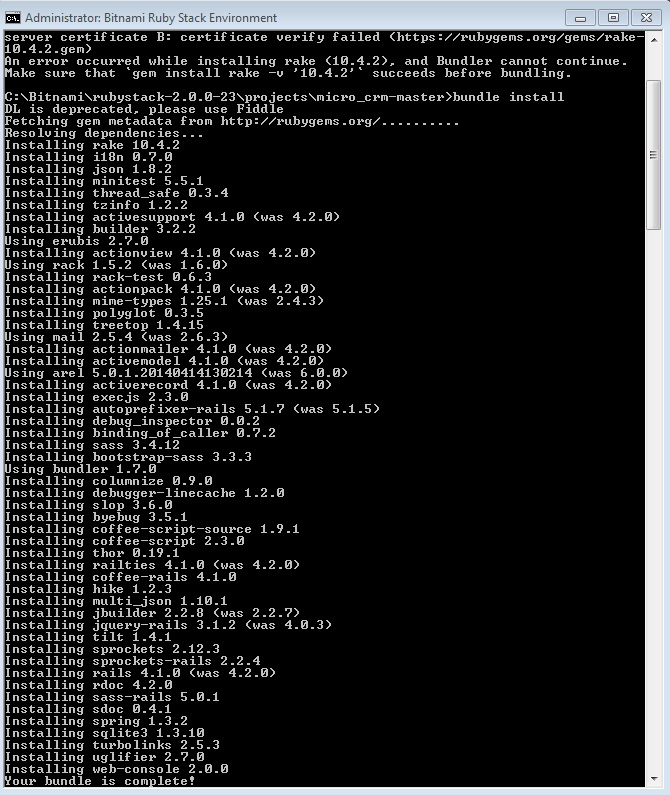 Now it’s time to see if our rails app is running. We create 2 Windows Services using the utility srvany.exe, that will start automatically our thin server in production mode. 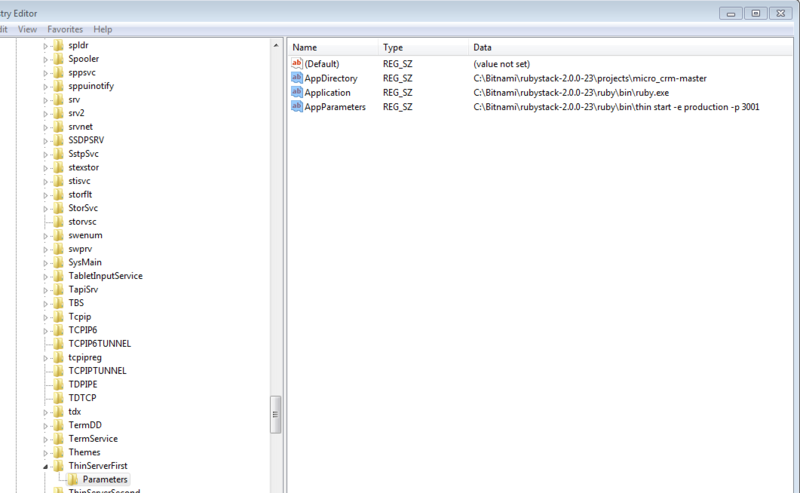 First, we install Windows Resource Toolkit that has the utility srvany.exe. Then, we copy srvany.exe from C:\Program Files (x86)\Windows Resource Kits\Tools to C:\Bitnami\rubystack-2.0.0-23\ruby\bin. Next, we run the program RegEdit. Under HKEY_LOCAL_MACHINE\SYSTEM\CurrentControlSet\services\ we found the 2 services that we have just created. 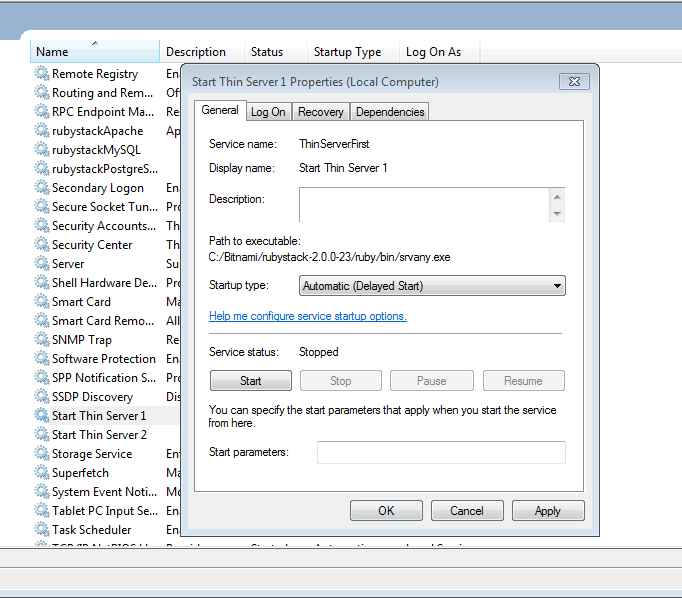 Then, we right click the ThinServerFirst service and create a new key called Parameters. 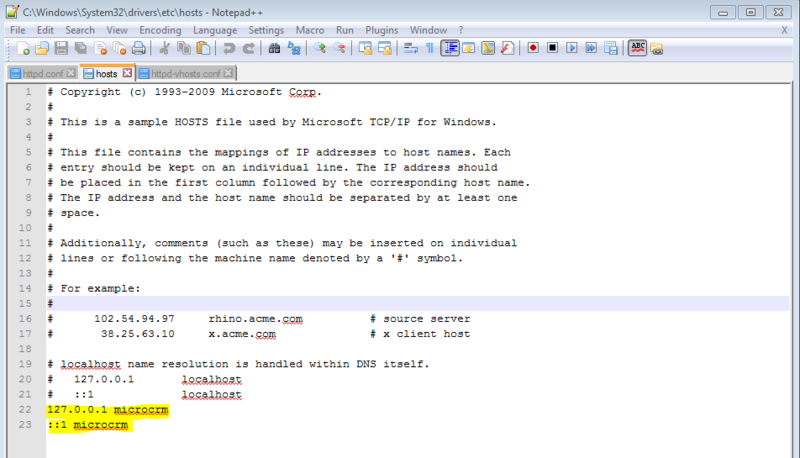 First, we run our favorite editor as administrator and open the file C:\Windows\System32\Drivers\etc\hosts. 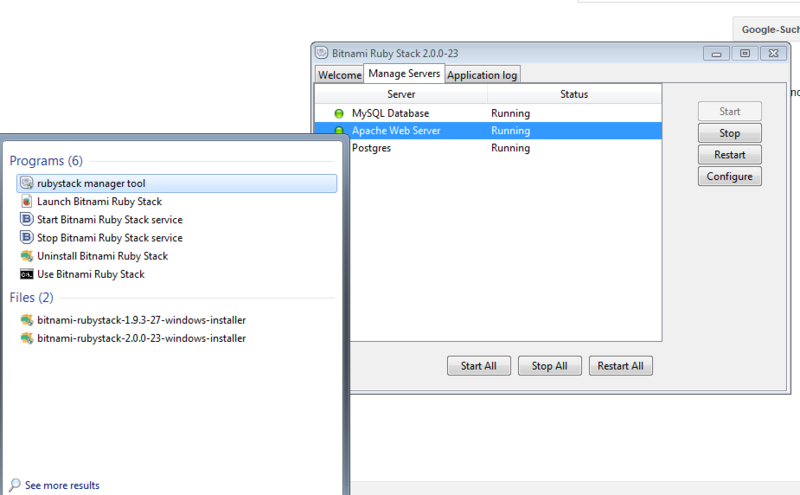 Deploying Rails 4 App on Windows can easily be done with bitnami software. 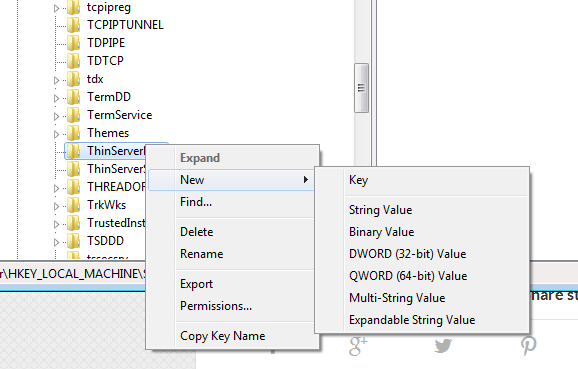 You can find the apache config files used on this tutorial in Github. If you have any questions, then feel free to drop me a line. can you access http://localhost:3001 or http://localhost:3002? 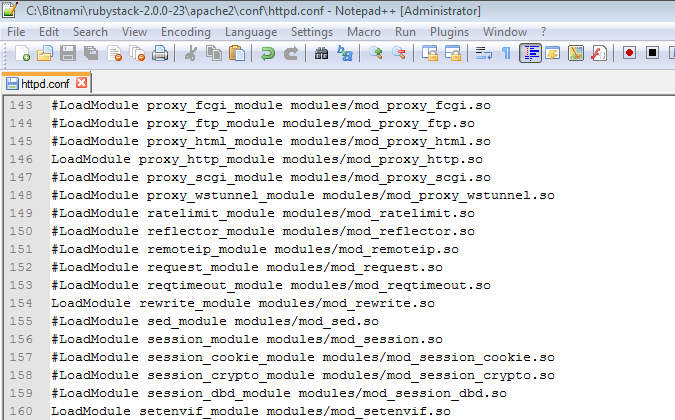 Maybe there is something wrong with your apache configuration. You can verify your configuration with my apache configuration in github. Let me please know if it’s work. # Disable Rails’s static asset server (Apache or nginx will already do this). i still have on my server “503 Service Unavailable” error. Do we agree that i should be able to access to my application after running these services on 127.0.0.1:3001 or 127.0.0.1:3002 ? Thank you in advance for your answer ? yes, definitely, did you compare your apache configuration with mine (https://github.com/benkirane/rails_windows_deployment)?